We offer river trips from the Okefenokee Swamp in Georgia to the Gulf of Mexico in Florida. We will transport you to the river from our shop, and you will be provided with an explanation of your trip and answers to any questions you may have about what to expect. You can bring your own canoe or kayak too! We offer shuttle services along the entire Suwannee River! We also have some river gear in our shop, and we can order just about anything you may need to make your trip more enjoyable, from sunblock and bug spray to dry bags and water shoes. If you're looking for a canoe or kayak of your own, we've got you covered there as well! ACA is an authorized dealer of Old Town Canoes and Ocean Kayaks. Place an order with us anytime by calling (386) 397-1309 or sending us an email. You can learn more about Old Town Canoes here and Ocean Kayaks here. 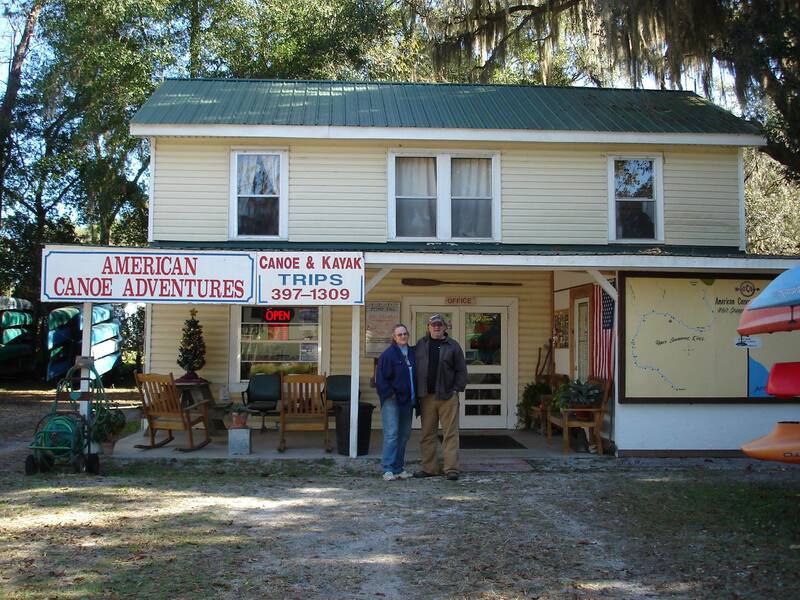 American Canoe Adventures also offers repair services for canoes and kayaks.